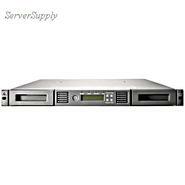 Hewlett Packard - AF204A HP/COMPAQ - 3.2/6.4TB LTO 3 STORAGEWORKS 1/8 ULTRIUM 960 TAPE AUTOLOADER (AF204A). IN STOCK. SAME DAY SHIPPING. IBM - 3581-L38 IBM - 3.2/6.4TB LTO ULTRIUM-3 8-SLOTS SCSI/LVD EXTERNAL 2U TAPE AUTOLOADER (3581-L38). IN STOCK. SHIP SAME DAY. 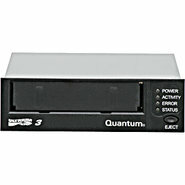 Quantum - EC-LLEAA-YF QUANTUM - 6.4TB/12.8TB SUPERLOADER 3 LTO4 SCSI LVD RM TAPE AUTOLOADER (EC-LLEAA-YF). NEW RETAIL WITH 1 YEARS MFG WARRANTY. IN STOCK. SHIP SAME DAY. 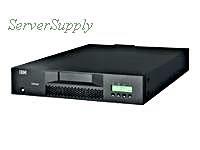 Hewlett Packard - EC-L2DAA-YF-B QUANTUM - 6.4TB/12.8TB SUPERLOADER3 ULTRIUM LTO3 SCSI LVD HH TAPE AUTOLOADER (EC-L2DAA-YF-B). IN STOCK. SAME DAY SHIPPING. 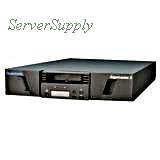 Hewlett Packard - AG677A HP/COMPAQ - 3.2/6.4 TB STORAGEWORKS SMARTBUY 1/8 G2 LTO 3 ULTRIUM920 RM TAPE AUTOLOADER(AG677A). NEW. IN STOCK. SAME DAY SHIPPING.